If you've ever lived in an area in which the dandelion grows, it's likely that you've blown the dried seeds of the dandelion flower at some point. 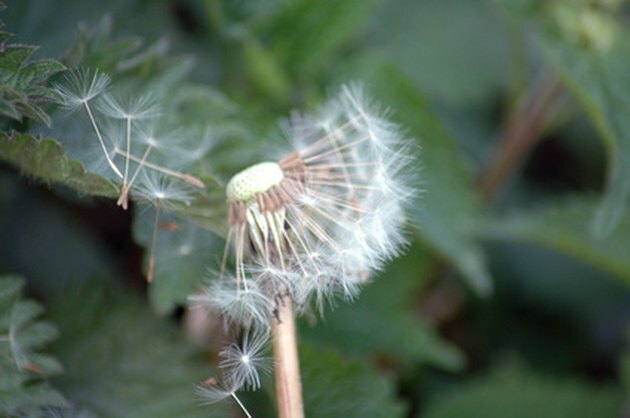 Once dandelions turn from their vibrant yellow color to their white/gray seed, they can be blown, sending the seeds into the air like tiny helicopters. The seeds of a dandelion fly through the air when you blow. There's no denying that when you blow a dried dandelion flower, the sight of its seeds flowing through the air is a beautiful sight. While some people may blow these flowers for more superstitious reasons, people also blow dandelions for the visual appeal. Especially when it's sunny, the dried seeds shimmer in the air. If you're the superstitious type, you may make a wish and blow the seeds off the dandelion flower in the hopes that your wish comes true. Just as many people make wishes while blowing out the candles on their birthday cake, blowing the seeds of a dandelion is another way to make a wish that you hope will come true. Some people believe that just like plucking the petals off a flower while saying, "He loves me, he loves me not," blowing the dried seeds of a dandelion into the air gives information about their romance life. It's believed that if you can successfully blow every seed off the dandelion in one breath, the person you are in love with will love you back. If you fail to blow them all off in one attempt, there may be problems with your love life. Blowing the seeds of a dandelion is entertaining and may be magical, depending on your beliefs, but it also has consequences. When each seed blows through the air, it eventually lands somewhere, where it will likely form a new dandelion plant. This is the process with which dandelions procreate; without their flowers turning to seeds, and blowing through the breeze to new locations, they would not survive. So while you may enjoy picking the dandelions and blowing them around your yard, your lawn care-conscious parents may have different feelings about the subject.